BEAVERCREEK — A firecracker … humorous … and genuinely nice. That’s how long-time Beavercreek resident Ruth Mitsoff is being remembered by former newspaper co-workers. Ruth Mitsoff, 83, died early Tuesday morning at Kettering Medical Center as a result of a stroke. She was co-founder of the Beavercreek newspaper publication which published in Greene County for years and was active in the Beavercreek area until her death. Along with her husband, Chris — who died in 2002 — Ruth purchased a weekly shopping newspaper from a group of Beavercreek Township merchants in 1960 and transformed it into a publication with stories, photos and editorials. She served as circulation and advertising manager while Chris Mitsoff was the editor and publisher. The Mitsoffs sold the newspaper in 1985 and it has been published under several different owners, including current owner Civitas Media. Mrs. Mitsoff worked for the paper in sales until 2010, aggressively and successfully filling the paper with retail advertising like she did from day one. Seemingly everyone in Beavercreek knew Ruth and people would always stop in the office at 1350 N. Fairfield Road to grab a copy of the paper and chat about current events. Many successful journalism careers were spawned under the Mitsoff Family, including that of Karrie Rossmiller, former WKEF/WRGT news director and WDTN traffic reporter, and Bill Shea, a veteran writer with Crain’s Detroit Business. 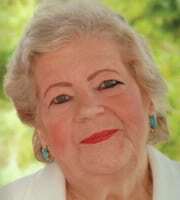 Ruth was also known for her community involvement. In 1999, she and Chris Mitsoff were named as “head kernels” (honorary goodwill ambassadors) of the annual Beavercreek Popcorn Festival. She was active in the Beavercreek Chamber of Commerce, which was co-founded by Chris Mitsoff in 1966, and in 2012, Mrs. Mitsoff donated the archive of the Beavercreek newspaper editions published under Mitsoff ownership to the Beavercreek Historical Society. She grew up in Middletown, and graduated from Middletown High School. The Mitsoffs moved to Beavercreek in the late 1950s when Chris Mitsoff got a writing job at what was then known as Wright Field (now Wright-Patterson Air Force Base). Ruth was a member of Beaver United Church of Christ in Alpha and in recent years had become a voracious reader thanks to her good friend Ruth Tobias, who would bring her numerous books to read. Former Beavercreek Mayor and current city council member Jerry Petrak said Beavercreek is blessed with a bunch of good people and Mrs. Mitsoff was one of them.